Prairie Creek Redwoods State Park is located on the northern coast of Callifornia, north of Orick, CA. The park features magnificent coastal redwoods, lush and moist fern canyons, elk-grazed fields, and this diminutive fixture. 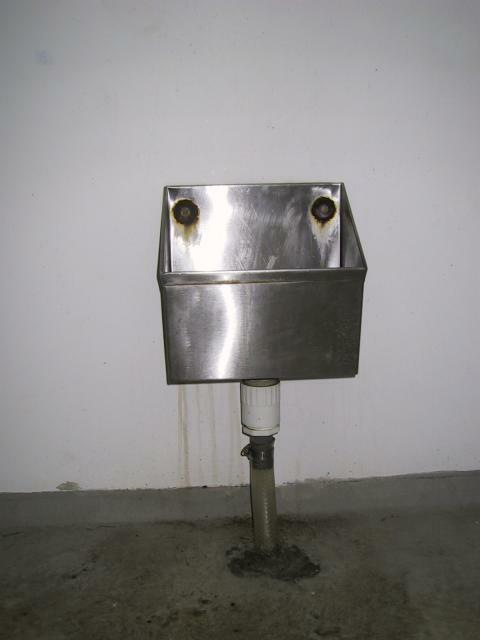 This fixture was found in a beach-side convenience facility. The scale is difficult to tell, but it is in fact only about two feet tall.